How important are looks to you for your racquet? Just wondering how important that is to some of you when purchasing a racquet. If it is important, where does it rank in your decision making? Truth be told, the truth should be told. . . to me, it IS important. I don't like glam-flash-glitz style. The cool professionalism look is much better. Forget wild colors; I'm interested in serious tennis. Very little. Most racquets out there don't look too bad. Pure drive being the exception. unfortunately for my rackets, no matter how hideous it is, the person holding it looks worse behind the baseline, so it doesnt really matter. For me it's mass, flex and availability of grip 5. 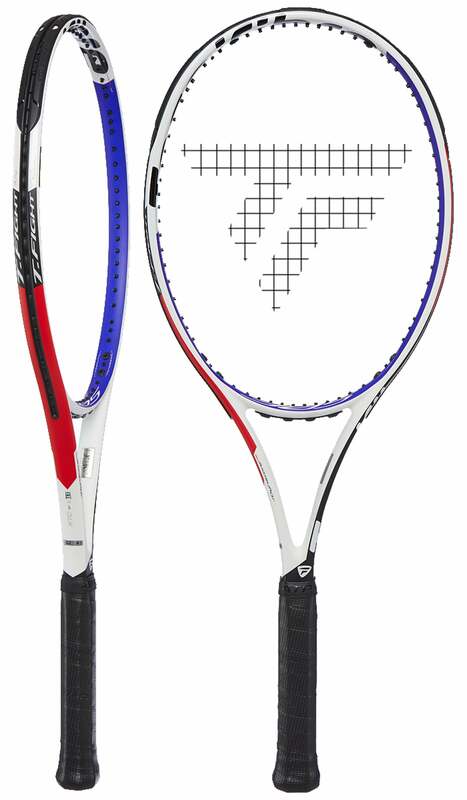 As far as cosmetics, most racquets look OK. Saying that I like the look of the Ultra Tour and the new Diadem racquets. RF Black is good and PK Q Tour 325 along with Angell v3. One of my favourite racquets, the C10 Pro could do with some new colours. I like racquets with not much contrasting decals, etc. Black or white, with minimal stuff on them. It doesn't really matter to me - I look for specs. That said, the racquets that I do use now look great to me (IG Prestige MP). I like the blackout look too (KPS88, RF97). could care less what it looks like. Not that much, seeing as I a swing a greenish Yonex ezone 100. I used to think it didn't matter for me, but eventually I tried a few different rigs that had a lot of contrast with their paint schemes. The nCode generation of the Six.One 95 was primarily bold red, but had white areas at 3 and 9 o'clock on the hoop. That contrast was surprisingly distracting for me on more than one occasion when I sampled that frame. It turns out that my eye is also rather distracted by a racquet in my hand that's bright white. I don't remember my first run-in with this issue, but when I first saw a Babolat Pure Strike with that white finish, I knew I wouldn't even take a swing with one if I had the chance. its of upmost importance. nothing else really matters. before you buy, think ... does this look good on me? I am a firm believer that "image is everything"
It matters, of course. I probably wouldn't have played with any Graphene (*XT) Prestige MP's if those frames didn't look so cool. Also, I think the cosmetics on the Textreme lines really helped them gain popularity, as well as the simple Wilson cosmetics when they first came out. But ultimately, I only kept those that felt nice.